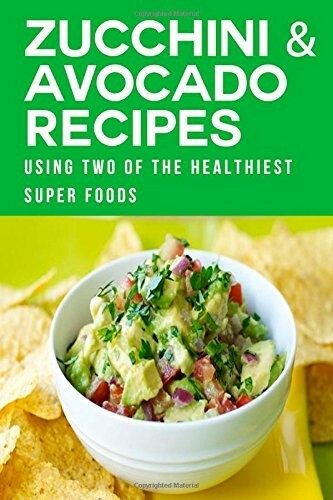 Make Delicious Avocado and Zucchini Creations Now! ON SALE NOW! Zucchinis and avocados are two of the best superfoods available! Superfoods are nutrient rich and promote well being. This cookbook will teach you the best and most delicious ways to create healthy meals. Zucchinis are known for these specific health benefits: - Low in calories - Helps lower cholesterol - Prevent cancer - Provide tons of antioxidants - Prevent heart disease - Lower blood pressure - Promote good prostate health Avocados are known for these specific health benefits: - Promotes a healthy heart - Anti-Inflammatory - Regulates blood sugar - Prevent cancer Together, these two superfoods will help you maintain a healthy lifestyle and promote overall wellness. Inside you will find tons of healthy, delicious, & mouth watering recipes. Get healthy and promote wellness with these green recipes. Get started now! The 2 Ingredient Dessert Recipe Book: Cookbook Filled with Recipes That Only Use 2 Ingredients to Make Delicious Desserts!